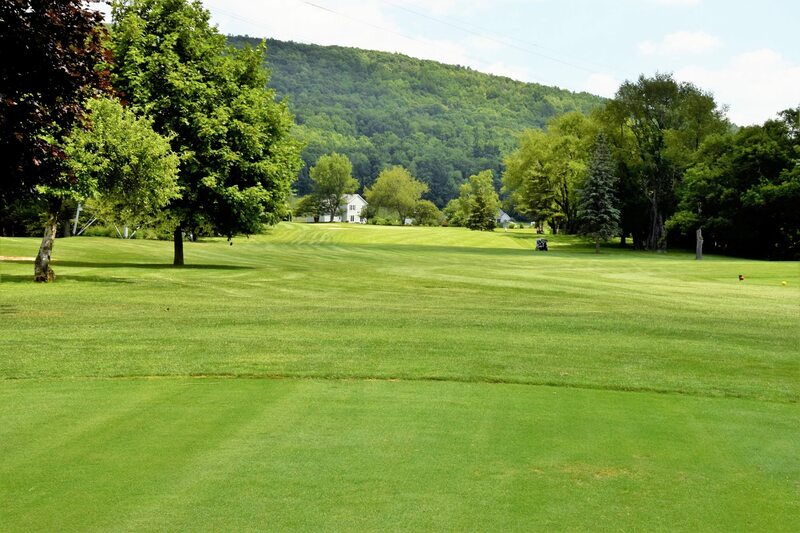 The sport of golf came to Bath, New York in 1925, on a course located opposite Lake Salubria on what is now Rt. 415. The course stayed open until the beginning of WWII when membership dwindled to the point the club couldn’t meet its mortgage obligations and defaulted. In 1946, another attempt to provide a country club for Bath, NY was started by Melvin Stewart. 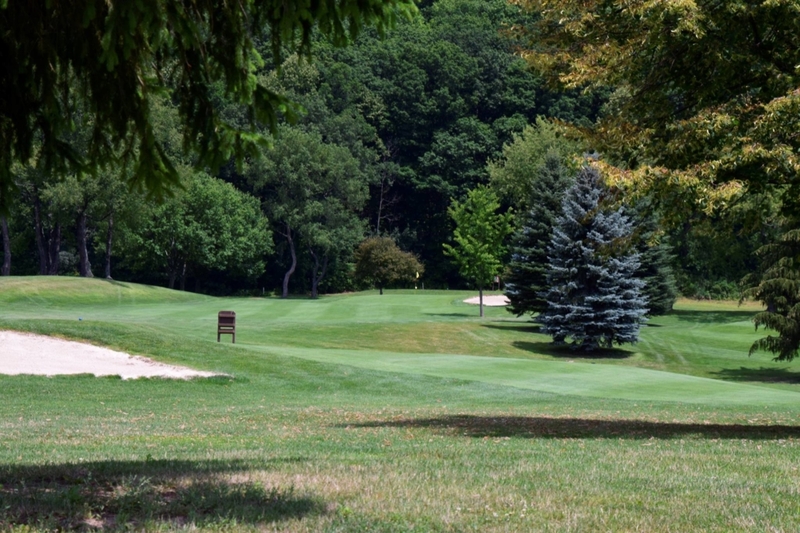 The course was built on what is now called Upper Maple Heights in the town of Bath. The dream only lasted until 1948, when the clubhouse burned, and the land was sold to a housing developer. Another course was designed by Tom Bonner, a pro from Elmira, and Bath’s own James Hawk. At that time, there were plans for only nine holes. (The original 9 holes are the back 9 today.) Interested parties and small Bath businesses did most of the work. Local high school students helped pick stones from the fairway. Slowly, the 80-acre farm was turned into the first nine holes of the Bath Country Club. The clubhouse was started later in July of 1954, and again was a product of volunteers. Reported in the Table of Expenses June – December 1953, was $17.50 for 5000 trees and $93.05 for beer! The 5000 trees were planted by volunteers and were the stately pines you will see on our course today. The course and membership proceeded nicely, and usual golfing programs were available. In July of 1963, cows from the adjacent farm were jumping the fence at number nine, so it was necessary to build a higher fence. 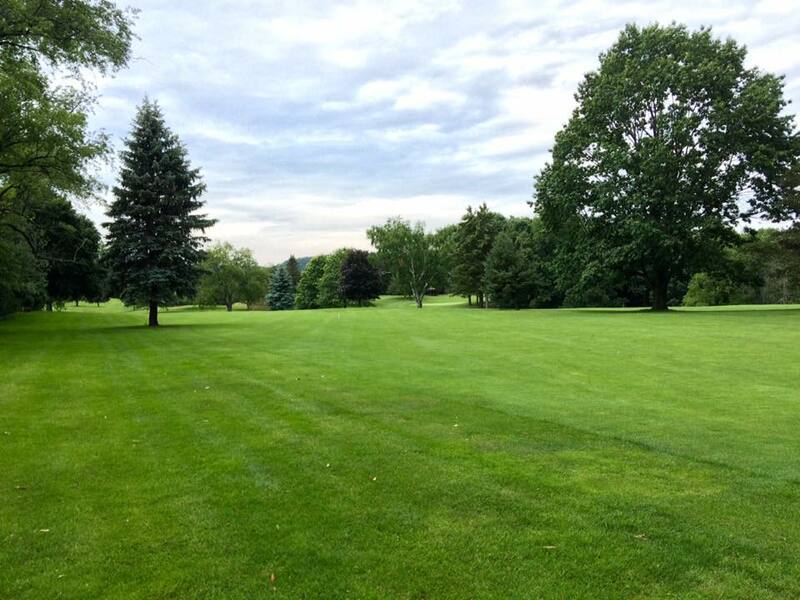 By 1965, the land was purchased for an additional nine holes. Implementation did not become a reality until 1993. Which brings us to the beginning of the 18-hole course we know and love today. 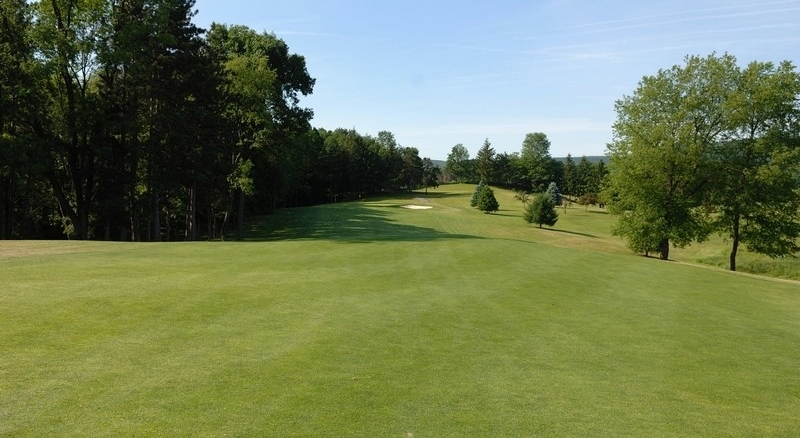 Robert Tallman, of an Ithaca architectural firm, designed the new nine holes. Construction on the new nine was mostly done with the cooperation of local high school juniors and seniors that were enrolled in Ag-Mechanics Conservation, a course of studies at Coopers Center Boces. This not only benefited our club, but it also provided students with real work experience. The development of the second nine was completed in 1994, and opened to membership in July of that year. The foresight of our original founders provided our region with a place for golf, fellowship, and community.